Since this has no taste it can be mixed with other E-Liquids as well. Iridium and Rhodium are the two minerals that David Hudson gives his wife to help her heal. He doesn't give her gold because he feels one should take that after healing the body. Rhodium is found in many plants, one of the most important of which being aloe vera. Iridium is found mostly in meteorites. It is now known that between 5% and 10% of the matter composing the brain is rhodium and iridium including especially the Pineal Gland. In addition, quantities of it are found in spinal fluid, and in the spine. 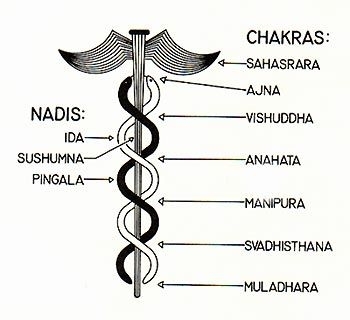 We have what the Hindus and Buddhists call the Nadis, which are channels of energy that run up and down the spine like the snakes on the caduceus. 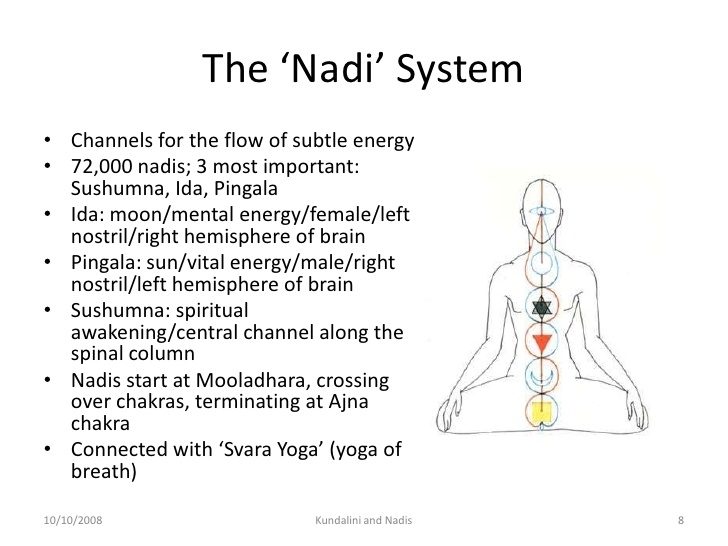 Ida is the upflowing channel and is benefited by Iridium, and Pingala is the downflowing channel which benefits from Rhodium.The two together are known to really get the Kundalini Energy going since they flow around the chakras. In the Western alchemical tradition these are depicted on the caduceus, with the wings being symbolic of flying psychically through realms made possible by alchemical progressions. There is an indention at the top of the caduceus staff (or rod), between the wings, with often a sphere (or other shape) within it. This is again a reference to the Holy Grail shape with the pineal as the stone, or sphere. Rhodium is the downflow channel, and is therefore very grounding, anchoring, and even more importantly, centering. Iridium is the upflowing channel, and if one were to reach a non-gravitational state, or levitation, it would be because rhodium and iridium have reached optimal coherence in these channels and combined their properties into the neutral Sushumna Nadi channel. 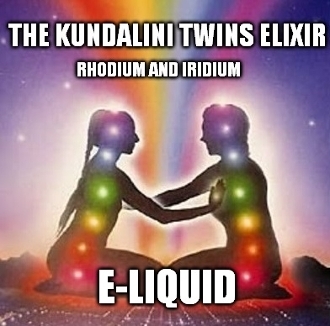 Iridium and Rhodium will Awaken Your Kundalini Shakti Energy. Kundalini Shakti is the divine spiritual power within every human being. Known by many names in many lands, this sacred inner presence is the divine within, the sacred light and love that illumines each of us and guides us to union with the One, the ultimate Reality beyond all phenomena, from which she is inseparable and of whom she is the subtlest manifestation. Kundalini Shakti is each individual’s own personal spiritual director, who strives to lead us to constant awareness of the Source. It is Kundalini Shakti who empowers our striving for spiritual attainment and who works to lead us to full spiritual realization. All human beings, regardless of era, religion, or culture, are vessels of this holy omnipotent, luminous presence that ardently urges us to cooperate with her efforts to increase our spiritual awareness and growth. It is each seeker’s task to understand how best to assist her in her dedicated service for our enlightenment. More refined and profound than energy, Kundalini Shakti is enveloped in the mantle of her own manifestation, the subtle body, which includes our energy, mind, and discerning wisdom. Within this raiment, Kundalini Shakti resides in either a contained or a released state. In her contained state, she is a tightly coiled static power that maintains the ordinary person’s life functions, talents, and consciousness. Upon her release, Kundalini Shakti rises through one of several pathways in the subtle body and reaches whatever level is possible, based on the conditions at the time of the rising. In her released state, Kundalini Shakti is dynamically active and strives to improve her spiritual status and complete her rising, pressing to elevate to the One, despite whatever blocks may impede her ascent. Her ultimate goal is our spiritual fulfillment. There are a variety of perspectives on Kundalini provided by current texts and experts, each with their own special contribution. From our perspective, Kundalini is not a path in itself but a universal process. It is the essential common factor that is the key to all spiritual experiences regardless of an individual’s religious or spiritual orientation. Kundalini Shakti is the means for deepening our connection to our spiritual endeavor and to the Divine Source itself. The name Rhodium derived from the Greek ‘rhodon’, meaning rose coloured. This symbol of a rose is usually found with the motto “'Dat Rosa Mel Apibus'” (The rose gives the bees honey) and was used by the esoteric 17th century Rosicrucians. The primary use of rhodium is for catalytic converters in automobiles, airplanes, buses, forklifts, trucks and other types of equipment running on engines. Catalytic converters contain a catalyst in the form of low-grade rhodium, and also platinum or palladium, that converts the chemicals released from the exhaust of the engine into other, safer substances. Catalytic converters use about 80% of the world’s rhodium supply. Colloidal Rhodium plays its part as a huge catalyst for the human body as well. Rhodium has a balancing and harmonizing effect on all levels of body, mind, and spirit. It is used to improve mental attitude and emotional states. Rhodium has been used to treat deteriorating cell tissue and eliminate tumors. Like silver and gold, Rhodium and Iridium assist in the efficiency and performance of the neural circuitry, in the synaptic connections. Using these increases clarity and strength of the brain, making multitasking much simpler and more natural. They'll also increase the vividness of dreams, and help with recall of them. Rhodium is now being heavily researched as a means to treat cancer, although very little of anything conclusive has yet been published. Because rhodium works with the central nervous system, mainly the brain, it's also instrumental in moving the body towards using sunlight as an array of nutrients more associated with where the human mechanism is going, through a type of photosynthesis.